I love the Superstar but he is off on his own with this one. Superstar Billy Graham is demanding to be removed from the WWE Hall of Fame. The Superstar is upset with the induction of Abdullah the Butcher. Pete Rose, Drew Carey, and Bob Uecker no problem, but he draws the line with Abby? I really like Superstar Billy Graham. The former WWWF world champion was a past guest on my Pro Wrestling Radio show and a great one at that. Additionally, he was a terrific person to get to know off the air in setting up the interview and conversations that followed. But even I, one of his biggest defenders can’t come to his rescue on this one. Billy Graham feels that the inclusion of Abdullah the Butcher in the WWE Hall of Fame is an embarrassment. The Superstar told Slam Sports that after seeing Abdullah get inducted into the Hall of Fame, that the 2004 inductee wants out. “For the WWE to induct into their Hall of Fame, Abdullah The Butcher, who has never wrestled one match under a WWE contract, is bordering on blasphemy,” said Graham. After watching Graham recently discuss his outright hatred for the Butcher in a recent documentary, I tend to think that this is way more personal than it should be. In taking a quick glance at the WWE Hall of Fame I would hardly point to Abby as the embarrassment of the Hall of Fame. The Hall of Fame includes television celebrities, professional athletes, Vince McMahon SR.’s limousine driver, and past WWE superstars that were nothing more than low-mid carders. Keep in mind that Billy didn’t seem to mind being inducted as part of the same 2004 class as Pete Rose. It should also be noted that Billy Graham sold his WWE Hall of Ring on Ebay. 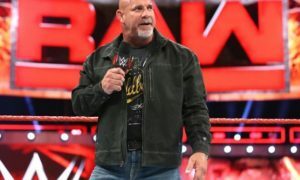 The former world champion has had a polarizing relationship with Vince McMahon and the WWE since he left the company in the late 1980s after an unsuccessful broadcasting stint. Things went well for awhile after Billy was included in the Hall of Fame and the WWE released a video and book chronicling his storied career. Two years ago Vince McMahon ended all financial and contractual obligations with the former wrestling great which has since put Billy on the warpath against the WWE. I disagree with his assessment of Abdullah the Butcher. Abdullah love him or hate him was one of the most successful territorial and international pro wrestlers of his era. He drew a lot of money and record ratings on Japanese television, which is a lot more than almost half of the WWE Hall of Fame can claim. Graham had no beef when The Sheik was inducted a few years ago so why now? I am sorry but I think Abdullah the Butcher absolutely belongs in the WWE Hall of Fame, although the Superstar has every right to express his opinion. Unfortunately rants like this will leave a bad taste in a lot of wrestling fan’s mouths. Those that never had the opportunity to speak with Billy and get to know him will never give him their full respect with continued rants like this one. I love the outspoken personality of the Superstar but at the same time I think he really needs to pick his battles when it comes to using the wrestling media.